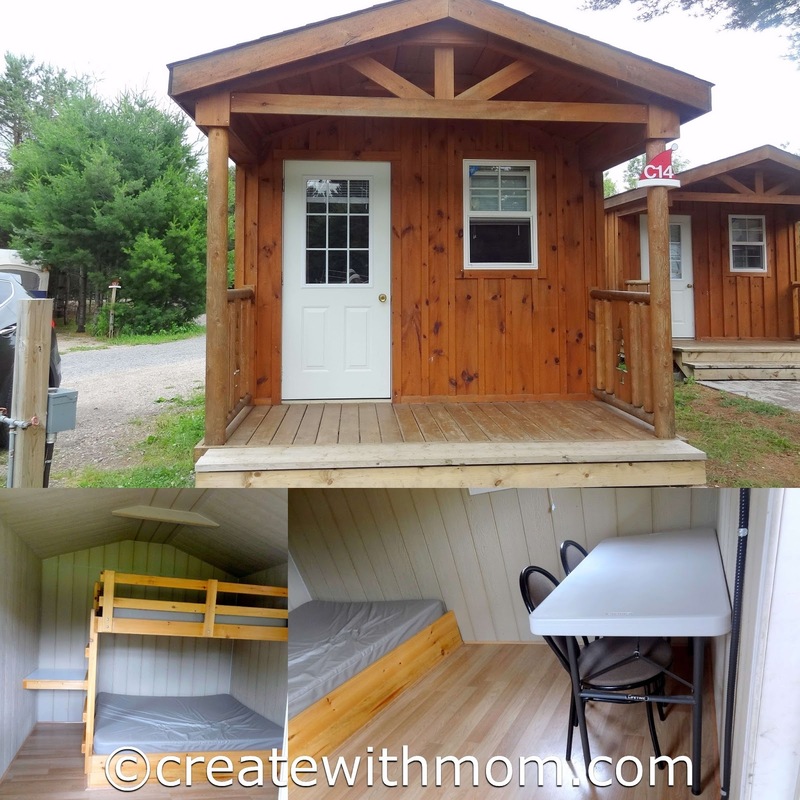 Santa's Whispering Pines Campground was modernized and upgraded in 2010 with the addition of 11 cabins, 2 yurts and 50 campsites. There are spaces for trailers and tents as well, if you don't want to stay in the rented cabins or yurts. We really enjoyed the family atmosphere at the campgrounds, which made us feel very comfortable to enjoy everything they offered in and around the campgrounds. The campgrounds offers a variety of activities such as crafting, movies, scavenger hunts, swimming, chance to have dinner with Santa, fishing, canoeing and guided hiking tours that are lots of fun to participate in. Since we went for a short period of time, we made sure to take the maximum fun of camping by doing a little bit of everything without getting exhausted. It was fun to share my childhood memories of overnight camping with my children. We had fun playing badminton, Frisbee, in the kids playground by the cabin, went on a hike in the Porcupine Ridge trail and experienced fishing in celebration of the National fishing week. We stayed in a cabin that had water right outside, a light bulb inside the cabin and the washrooms and showers were close. I am glad that everyone in the campgrounds was courteous to clean up after themselves so we were all able to enjoy a wonderful atmosphere, kudos to the team that is ensuring that everything in the camp was in order :) The campground is friendly to families, as they don't allow noisy parties, profane language, fireworks etc. It is considered to be quiet time from 11pm to 8am so we were able to get a goodnights sleep. I made sure to pack all that we needed from pillows to sheets so we had a comfortable time sleeping on the double bunk beds inside the cabin. We took a burner to make some camp food and a cooler with fruits and snacks. We really enjoyed the smell of campfires during the evening at the campgrounds. Kids enjoyed eating s'mores and playing outside, before taking a shower and hitting the bunk bed. We tried to wake them up to see the stars but they were too tired, so we spent the night gazing the beautiful starlit sky. Camping is a must do, humbling experience that reminds us we don't need a whole lot to have fun and make memories. Enter a chance to win 4 tickets to Santa's Village, and while you are there maybe you could stay over at Santa's Whispering Pines Campground as well. We also stayed at the campground for 2 nights. We stayed within the yurt which are those round huts. Kids called them the "elfs houses", we LOVED it. The owners are great people, super friendly. It was nice that we meet some some new friends from another town that we visit frequently and we have actually gotten together. Great memories, I tell everyone about it!! We have been thinking of going on a camping trip after Ramadan. This definitely sounds like a great place. We have stayed here before, and we love it! Cabin 14 is our favourite. We were there 12 July to 15 July, and the kids were already planning next years stay on the drive home!